What is just? What is right? What is wrong? What purposes, and what virtues, are worth pursuing? How can we weigh answers to these questions without lapsing into “That’s only your opinion”? In the tradition of C. S. Lewis’s The Abolition of Man, Dennis Danielson re-invokes Lewis’s use of the Tao–borrowed from Eastern philosophy–as shorthand for the transcultural fund of ultimate postulates that form the very ground of moral judgment, codes of ethics, and standards of right and wrong. 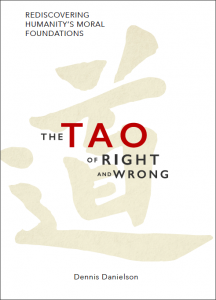 This book is a fresh twenty-first-century call for the virtuous cultivation of “humans with hearts,” for a rejection of moral nihilism, and for a life-affirming embrace of moral realism founded in the Tao. 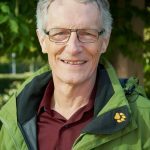 Dennis Danielson is Professor Emeritus of English at the University of British Columbia and an intellectual historian who has written about literature, religion, and the history of science. He is a past recipient of his university’s Killam Prize for research in the humanities, and of the Alexander von Humboldt Foundation’s Konrad Adenauer Research Award.